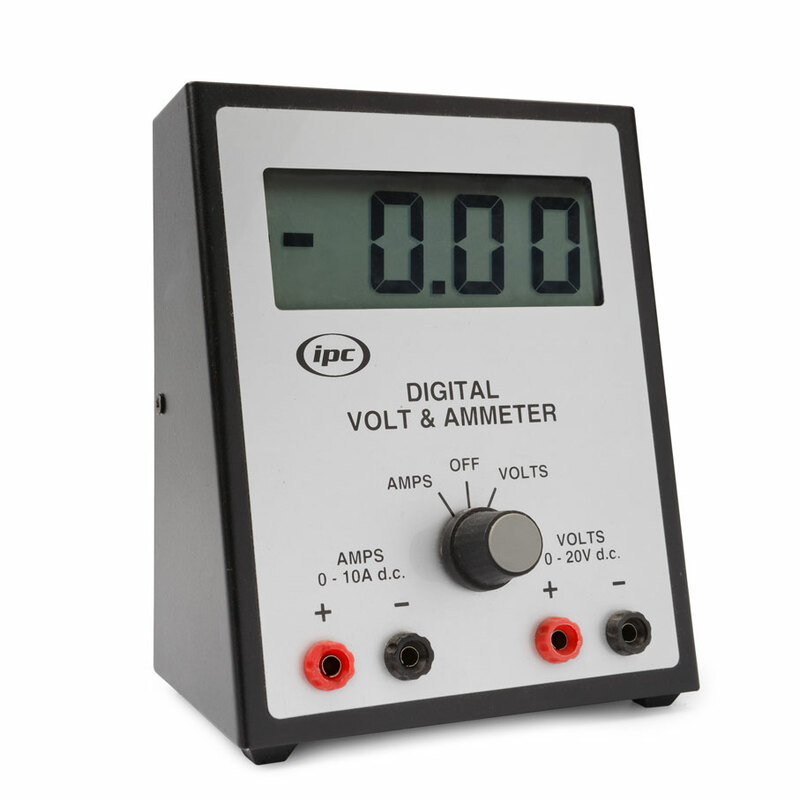 A combined digital voltmeter and ammeter (IPC-1311-M) with large display designed for use in class demonstrations and group work. The inputs to each meter are isolated and are easily selected by the clearly labeled 3 position switch. The 3½ digit liquid crystal display has 25mm high digits with a wide field of view unobscured by trailing leads. The display also provides indication of polarity and low battery. The unit is exceptionally easy to read. Two pairs of colour coded 4mm sockets are located on the front panel for maximum convenience. Low operating current gives expected battery life in excess of 500 hours. Housed in a robust powder coated metal case with battery compartment and fitted with anti-slip feet on the base. Supplied with battery.